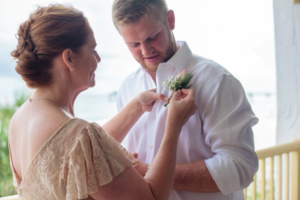 Home/Latest News/At Brody’s Dry, Taking Care of Our Family Means Taking Care of Yours! If you’re our friends on Facebook, we’re sure you’ve heard our BIG NEWS—the Brody family has completely relocated from Texas to Missouri! 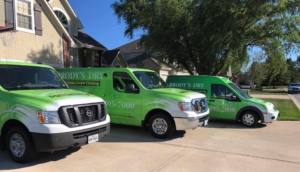 In 2016, Jon began introducing the Kansas City metro area to Brody’s Dry Professional Carpet Cleaning, and then he, Kim and Eastin ventured north the fall of 2017, moving to Lee’s Summit, MO to be closer to their extended families. Blake stayed in Texas to run the original Brody’s Dry location while Jon continued to grow the new Kansas City opportunity. 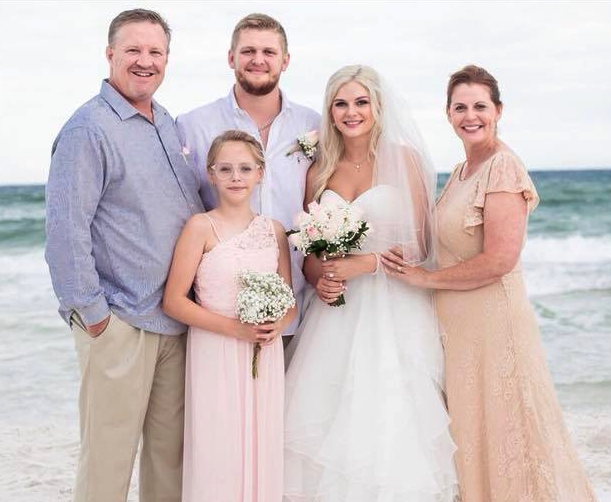 This summer the Brody family grew as Blake married Victoria and they began their new life together. 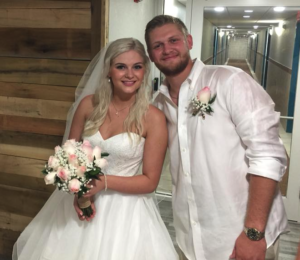 Right after the wedding, Victoria was accepted into the Occupational Therapy Assistant Program at MCC here in Kansas City, and she moved 8 hours from her new husband to start school. 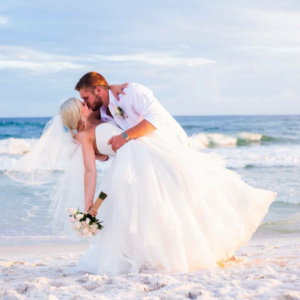 With the Brody’s Kansas City operation growing at a rapid pace, there was definitely a need for Blake to move to Kansas City, and with his new bride already living here it made sense to for Blake to join the rest of his family in Lee’s Summit. The addition of Blake to the Brody’s KC team allows us to expand our ability to offer same-day and next-day appointments. Blake also bring additional service offerings to our Kansas City customers, including carpet stretching and repair. If you carpets have started to buckle, shift, or pull away from the subflooring—don’t replace it, repair and re-stretch it! Blake’s got you covered for a fraction of the cost of purchasing all new carpeting. We’re still the local leader when it comes to de-contaminization and odor and stain removal caused by pet accidents. Don’t let your pets mishaps keep you from welcoming guests into your home. We want you to be proud of where you live, and we’re happy to remove the odor and stains and leave you with nothing but a fresh-smelling, healthy home for all of your fall and holiday events. While we are so very excited to have the family all together again in Kansas City, it was important for us to keep our commitment to our loyal Brody’s Dry customers in East Texas. We have provided reliable, quality floor and tile cleaning services for the past 7 years, and we didn’t want to leave our friends without a provider they could trust to clean their homes. We hoped to continue the Brody’s dry tradition of local ownership and family pride…and we found those qualities in Carl Lane, who also own’s Lane Pest Control Services. Carl has operated Lane Pest Control Services in East Texas for years, growing it from a small operation to a booming business with multiple locations. Knowing the success of Brody’s Dry, and wishing to expand Lane’s household services into the cleaning arena, Carl purchased the Texas portion of Brody’s Dry in early September. The name has changed to Lane’s ProGreen Dry, but the commitment to service, quality, and even the phone number are the same as Brody’s! You can trust Carl to take good care of your home. Lane’s ProGreen Dry uses the same HOST eco-friendly system that Brody’s has used since Day 1. “Clean and dry before we say goodbye,” whether it’s Brody’s in the Kansas City Metro or Lane’s in East Texas!